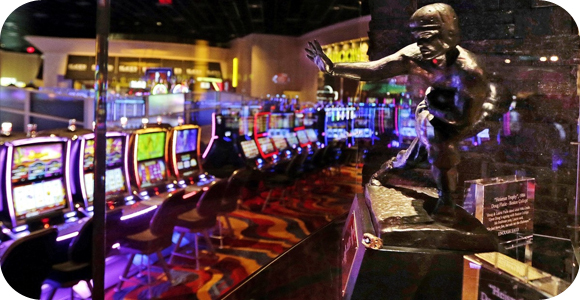 Massachusetts has just opened their very first casino, where they host horse races, as well as have a huge, 160,000 square foot area where they have more than 1,250 slot machines, as well as video table games. The $250 million project was finally ready for their launch that took place on Wednesday, June 24, and it had a huge gathering. It all started with the idea of creating jobs, as well as more revenue for the state. The Plainridge Park Casino is projected to generate $200 million in revenue its first year, of which, $98 will go to the state. If this proves to be fruitful, we may see more casino pop up all over. Charles Smith, former chair of the board of selectmen, and who helped bring in a racetrack in the 90’s, truly believes this is a great use of land that was once a dump for old cars. The Plainridge Park Casino has given the town more than 600 full and part-time jobs, which was much needed. Take a look at some of their great slot machines, video poker and blackjack tables that have their own virtual dealers, and of course, place a bet on one of the races.